Every week we track the business, tech and investment news and trends in agriculture, CPG, retail, restaurants, cooking and health, so you don’t have to. This week’s top story is Hampton Creek’s buyback program. 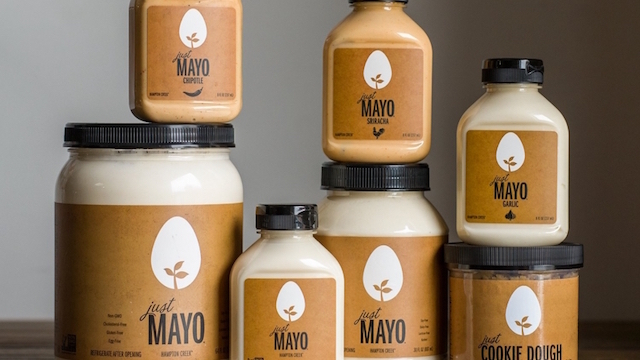 Bloomberg published an exposé claiming Hampton Creek bought up its own mayo in an attempt to boost its popularity with retailers and investors. The startup says its main objective was to ensure product quality and that the buyback program only accounted for 0.12 percent of its sales. But five former contractors and two ex-senior staff members are saying the buyback assignments were in addition to in-store quality checks and were not accounted for. This is a really big deal if Hampton Creek was misleading investors. It also brings up a lot of questions around transparency and Hampton Creek’s growth strategies. What’s your reaction to this story? How does your company manage in-store quality control? What questions do you have for Hampton Creek? Join our discussion here. In other food startup news, Powerplant Ventures closed it’s $42 million plant-centric fund, Walmart bought 18 month old Jet.com for $3B and a bunch of startups raises a whole lot of cash. Also trending is new legislation that support’s young farmers and what it takes for startups to succeed in food. Check out our weekly round-up of last week’s top food startup, tech and innovation news below or peruse the full newsletter here. 2. Is Food Unwinnable for Startups? Food startups have had a rough year. Jennifer Goggin examines what it take to overcome logistics and customer acquisition challenges. 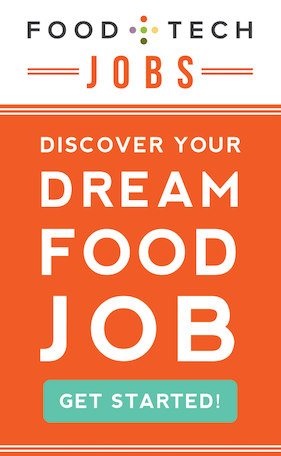 Launched by Zico founder Mark Rampolla and Veggie Grill co-founders Kevin Boylan and T.K. Pillan and Dan Beldy, the fund will invest$250k – $2M in food and food tech companies that are working to reduce pollution and feed the world. The acquisition is the largest e-commerce M&A deal ever. Walmart’s acquisition is its biggest step towards taking on Amazon’s e-commerce market share. Of note, Jet recently begun testing fresh food delivery. The future of our food supply rests in the hands of a debt-ridden youth. Farmers are calling on congress to support The Young Farmer Success Act, which would forgive student loans for farmers, a high-need, public service profession. Funding came from Sound Ventures, Global Founders Capital, Riverhead Capital, GGV Capital, Fosun Group, Danhua Capital and more. The San Francisco-based grocery delivery startup will use the funds for marketing and winning over new customers while regionally expanding. The funding came from private investors and will help the alcohol delivery startup keep pace with a slew of competitors from retail sectors, as well as other alcohol delivery startups. Chef’d CEO Kyle Ransford chats with Street Fight about Chef’d’s journey, his thoughts on the future of meal kits and the technologies underpinning the disruption of grocery retail. The deal values the London-based food delivery startup at $1B. The startup will use the investment to fuel growth and take on well-funded competitors like UberEATS. A deep dive into the tech industry’s unintended impact on San Francisco’s restaurant industry – from hurting midlevel restaurants to creating the worst racial and ethnic pay gap in the US. The smart kitchen startup, which has raised $43M to date will use the funds to accelerate its growth. Farmigo raised $26M and was nearing profitability, but logistics got the best of the startup. CEO Benzi Ronen and investor Ali Partovi speak candidly with us about what happened, lessons learned and what’s next. The ‘ugly’ produce supply challenge, and inside look at the rise of female food entrepreneurs, Dave Chang’s code for unleashing the world’s best flavors and more.